Brewsday Tuesday on Tattoosday is back with a post full of goodness from Two Roads Brewing Company (@tworoadsbrewing) in Stratford, Connecticut. Appropriately, we're going to celebrate two-for-Tattoosday in double fashion, with tattoos from two folks from Two Roads, and I'll rave about at least two of the Two Roads brews. 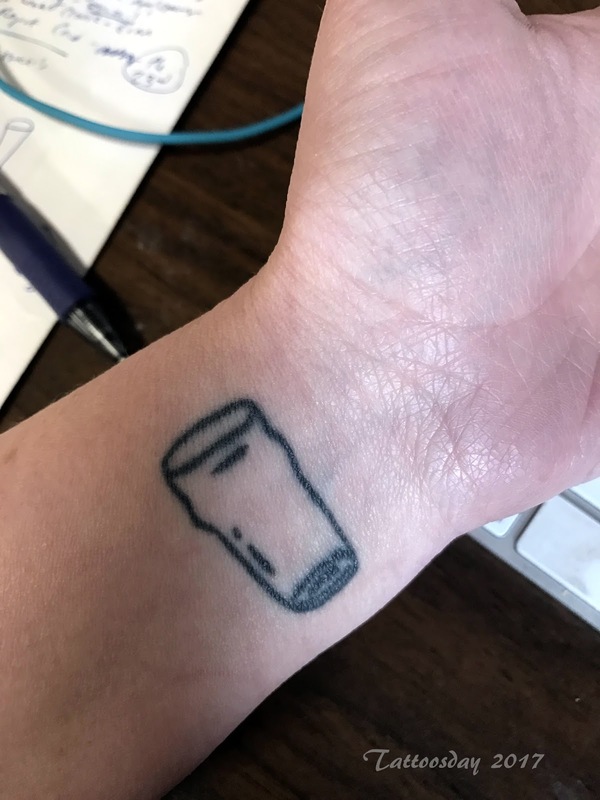 She explained that the glass tattoo was a reminder "that that there will always be beer!" 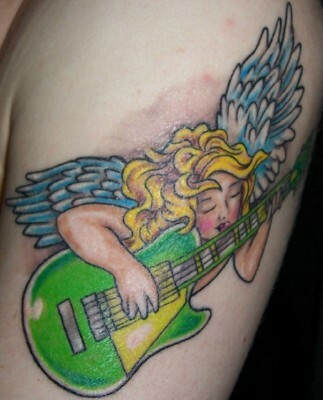 The piece was inked at The Parlour Tattoo (@theparlourtattoo) in Eugene, Oregon. 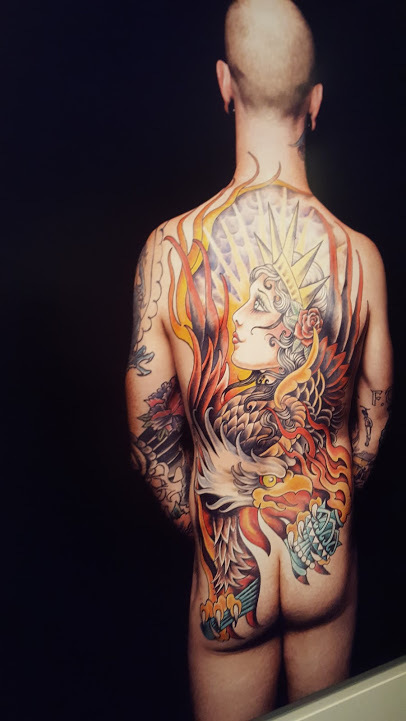 This tattoo was done at Forest to Shore Gallery (@ftsgallery) in Stratford, CT by Raquel Cude (@raquelcood). Emily drew both of her tattoos. She is also the creator of Pints and Panels (@pintsandpanels), a really cool website (soon to become book) that takes a cartoonist's eye to the world of beer. Highly recommended! In this photo, incidentally, she's holding a limited release of Two Juicy New England Style IPA. I had just recently been treated to one at The Lock Yard (@lock_yard) in Brooklyn last week, when I met Paul, one of Two Roads' sales managers. 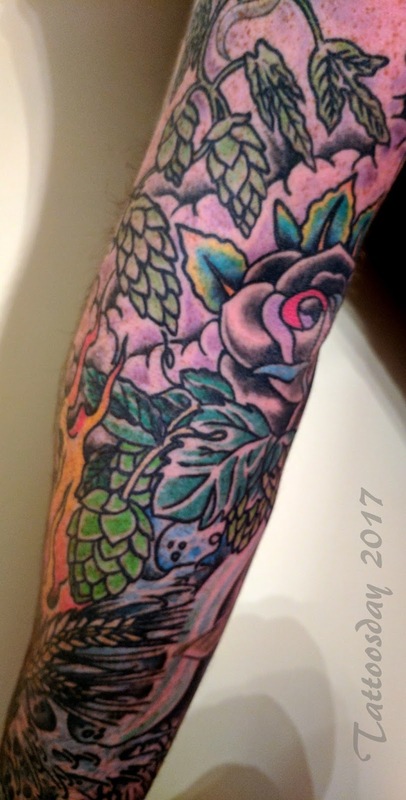 Colin explained that the tattoos embody "water, malt, hops and fire - the ingredients needed to make beer (besides yeast)." His artist is Jae Connor (@jaeconnor) from Electric Lotus (@electriclotustattoo) in Boonton, New Jersey. Now, shifting gears, back to the beer, truth be told I have been a fan of Two Roads Brewing for a while. And not because they have cool, punny names for their brews. Their beer tastes great and they rank among my favorite breweries. 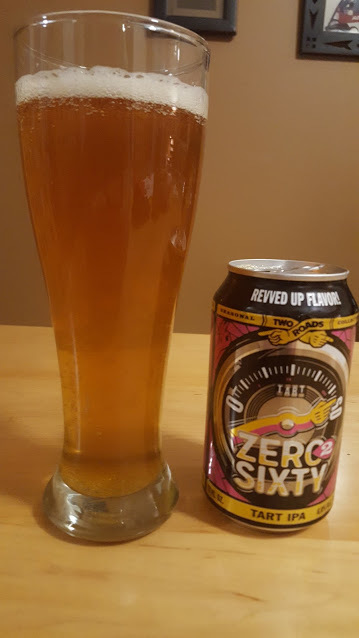 This was a really refreshing surprise - an IPA that is both hoppy and tart really does wonders to your taste buds and Two Roads is dead on when they describe this special brew as "an easy-drinking IPA with a nicely balanced tart 'chassis' that brings out the flavor and aroma of the hops." What's the secret? According to their site, "it is hopped with Comet and Chinook and then kettle-soured for a tart, balanced finished." Another winner, indeed! 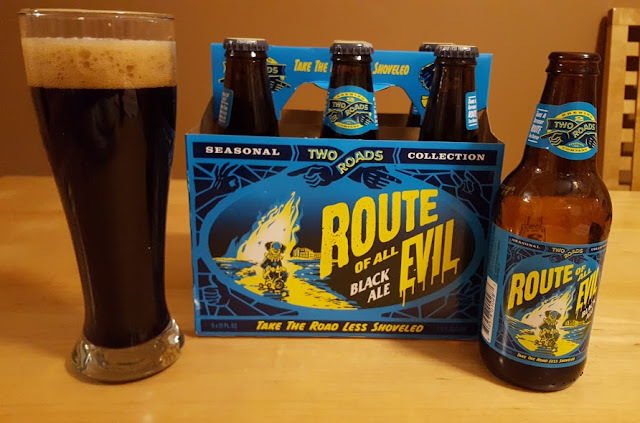 I would be doing myself wrong if I didn't also praise one of my favorites from Two Roads, their Route of All Evil, a winter seasonal black ale that is a dark glass of rich, bold taste. If you're not familiar with the Two Roads line-up of beer, you really should check them out. There's not a dud in their line-up, as far as I can tell. For those readers who may not recall our summer Brewsday Tuesday posts, we are also fortunate to have some goodies from Two Roads. 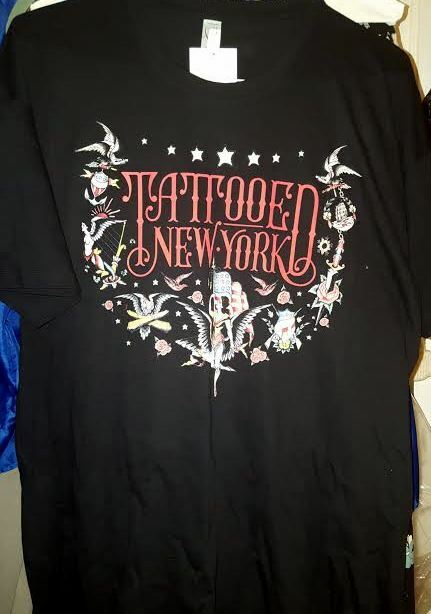 If you're interested in some Two Roads swag, all you have to do is comment on the post below, or comment on this post on either the Tattoosday Instagram or Facebook posts. Winners will be randomly selected. You also gen an entry if you just "like" the post, but you get extra points for comments, especially if you share your favorite Two Roads brand. 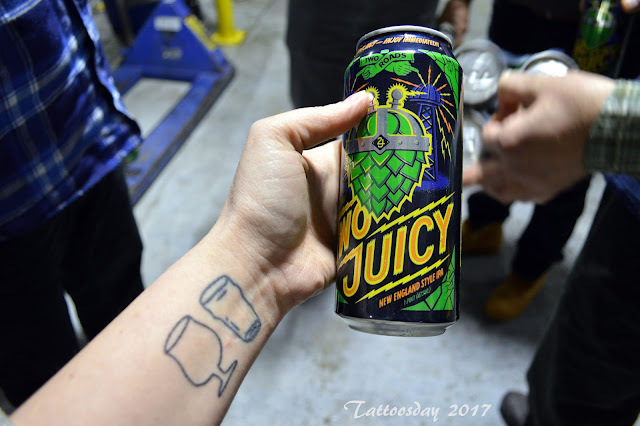 Thanks to Emily, Colin, Paul, and all the other great folks at Two Roads Brewing, for sharing their passion for beer and tattoos with us here on Tattoosday! 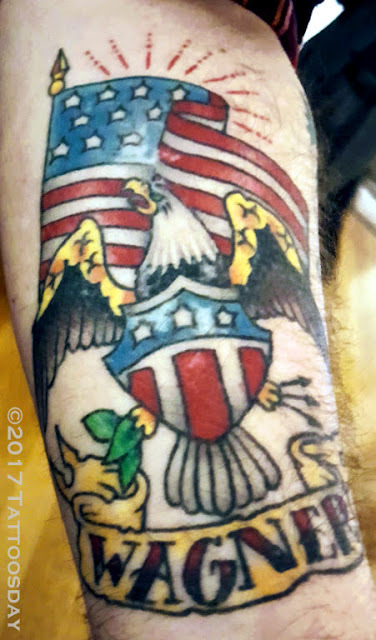 Our friends over at United Ink Productions (@united_ink) recently reached out to us to share a cool tattoo. Every week they have an artist come to their offices and tattoo in a segment they call "The Guest Spot," which is sponsored by Ultimate Tattoo Supply and Inked Magazine. 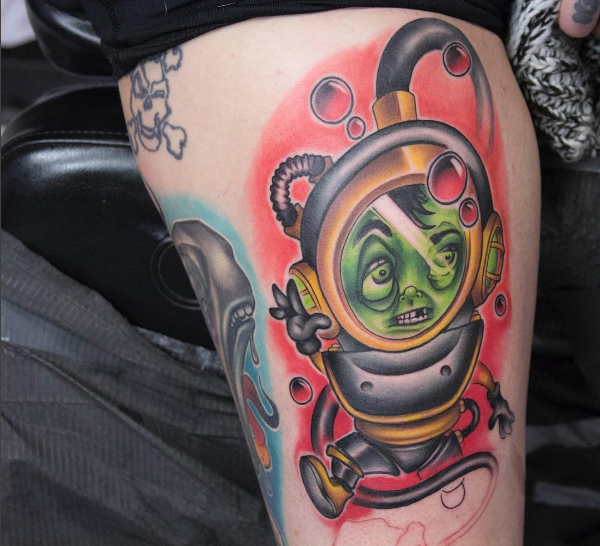 This was done on The Guest Spot by artist Josh Herman (@JoshHermanTattoo) on Carolyn Elaine (@carolyn_elaine_tattoo), a contestant on season 8 of Ink Master. Josh will be attending the New York Tattoo Convention coming up March 31 through April 2. Josh and Carolyn both work out of Mayday Tattoo Co in Chicago. 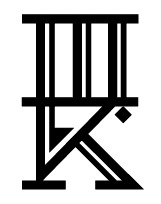 We hope to feature more tattoos from the Guest Spot in the future! 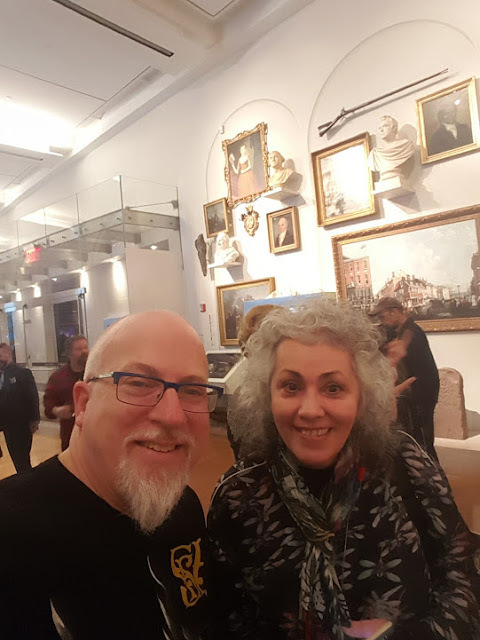 Last July at the New York Empire State Tattoo Expo (#nyempirestatetattooexpo), I met Erica at the South Shore Tattoo (#southshoretattooco) booth. Erica is the shop manager and laser technician at South Shore's shop in Amityville, Long Island. One of the trends that has developed in some tattoo shops recently has been the partnering with laser removal services and, in some cases, even having a laser technician on site. She credited this to one of South Shore's artists, Garden Mike. "He does a painting a day and I watch him every day and I fell in love with that, I'm also an Aries ... I fought him for the painting of the goat for like six months...and then when my laser finally got delivered, it was ... on my laser, the painting of the goat, so I was like, now I got ya!" Thanks to Erica for sharing her cool goat tattoo with us here on Tattoosday! It has been a while since we had a post from our occasional series Tattoosday Walks into a Bar. He credited the work to Jim White (@JIMWHITETATTOOIST) at Rivington Tattoo (@RivingtonTattoo) in Manhattan. 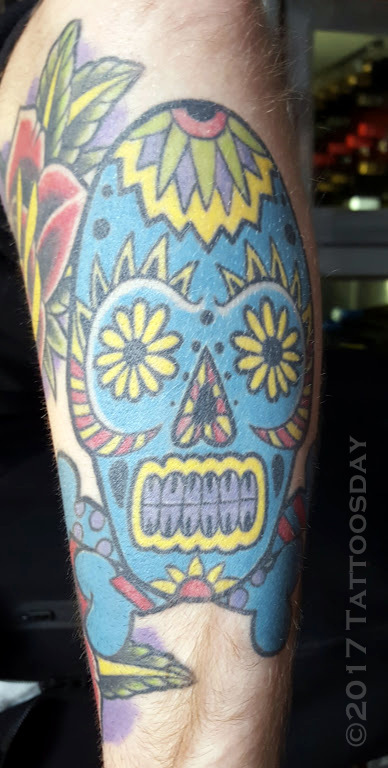 Luke really likes the colors and thinks sugar skulls are "really cool." 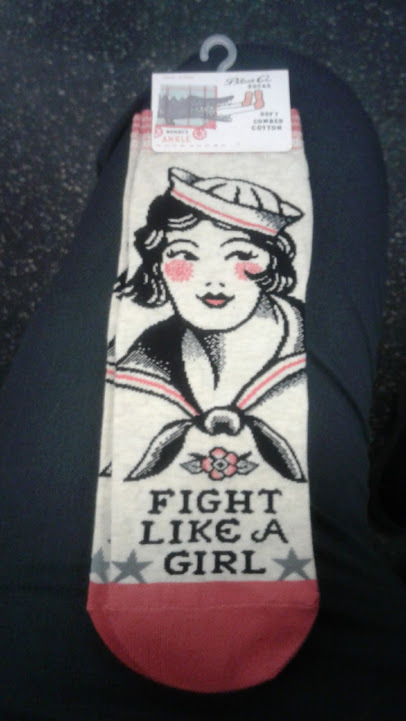 I tend to agree. 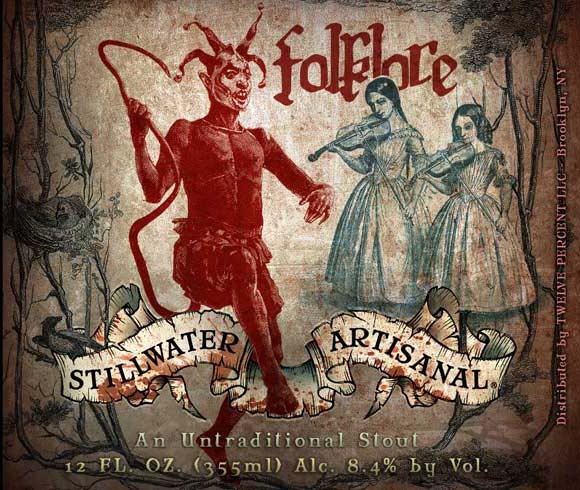 That's a Folklore, from Stillwater Artisanal Ales (@stillwater_artisanal). It was really delicious. 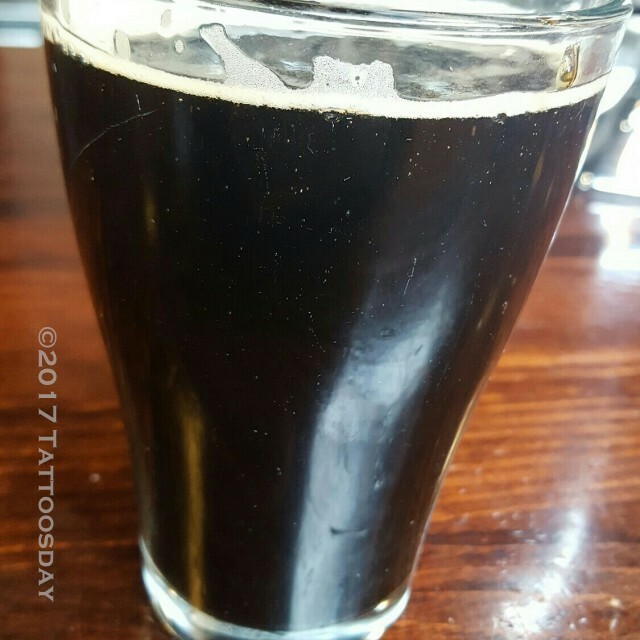 Called "an untraditional stout," I found it very flavorful, rich, and a little smoky. I highly recommend it! Thanks to Luke for sharing his cool tattoo with us here on Tattoosday! Thanks also to the good people at The Roof, and the folks at Stillwater Artisanal for producing such a tasty beer! 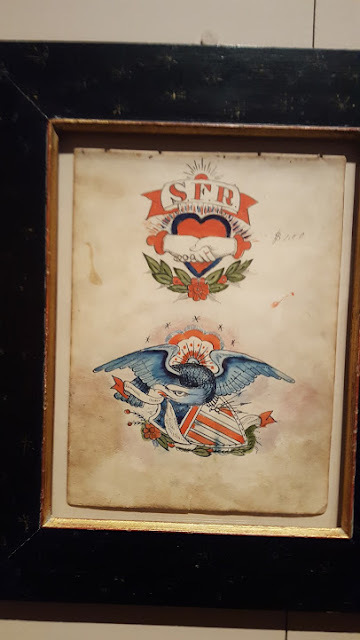 This past Thursday night, I had the good fortune to attend the opening party for Tattooed New York at The New York Historical Society in Manhattan. 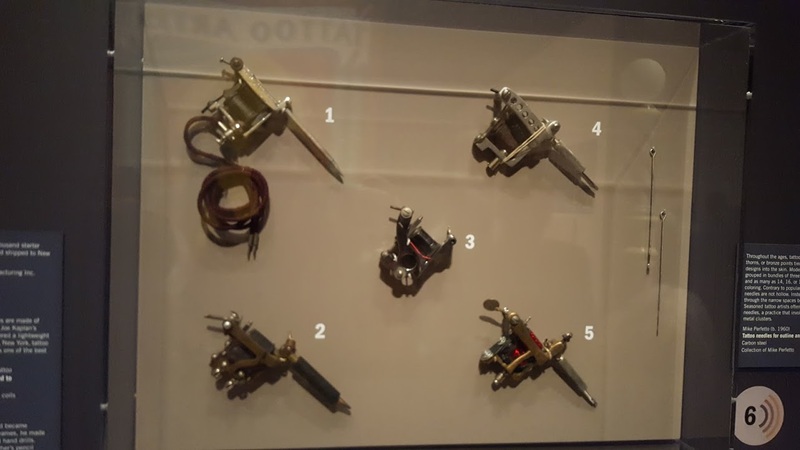 A museum exhibit about tattooing, in itself, is wonderful by itself. But, the opening event, in Tattoosday's tenth year, was for me as much as about meeting people who I have written about over the years, and seeing old friends, as it was about the exhibit. 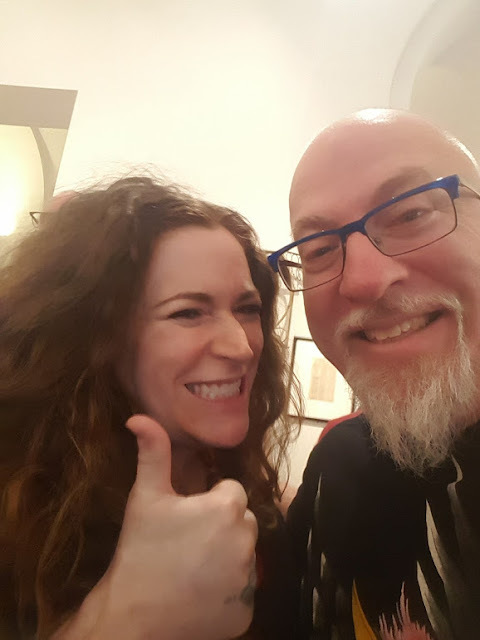 Plus, I met numerous artists that I have written about before, including the wonderful Stephanie, Tamez, Virginia Elwood, Michelle Myles, Brad Fink, and Jen Carmean. 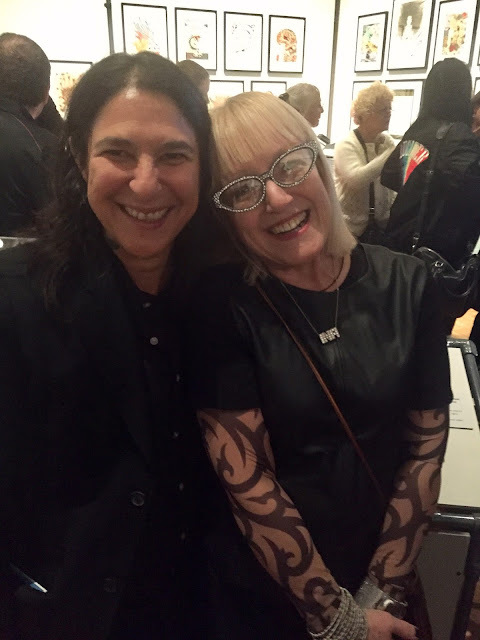 I also ran into Ina Saltz, whose books on typographic tattoos are wonderful reads. Check out my review of her book Body Type 2 here. 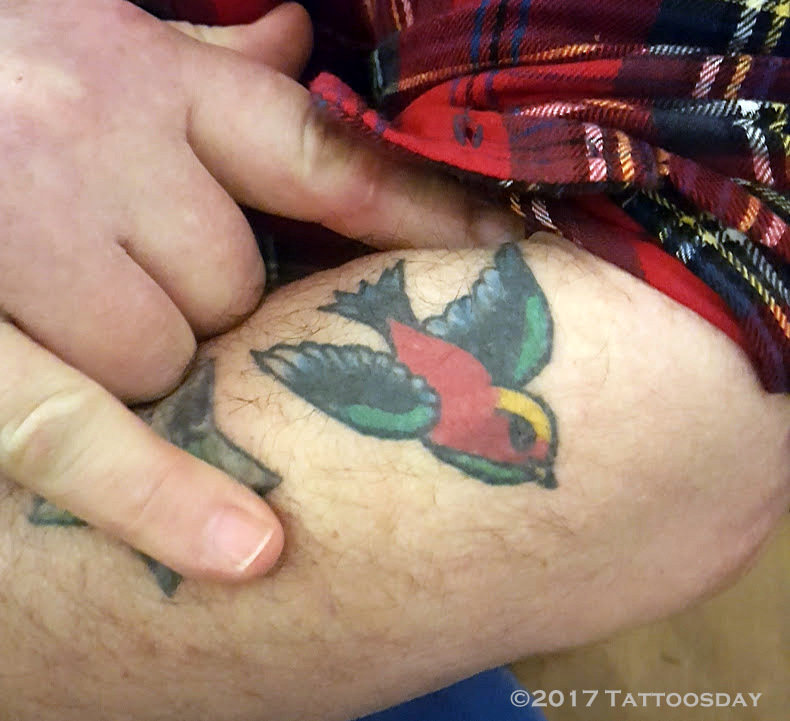 I also interviewed and took pictures of some tattoos on Charlie Wagner's great-nephew, which will be the subject of a future post. Once you enter the exhibit, you are transported back through tattooing history, even before the first electric machines were introduced. 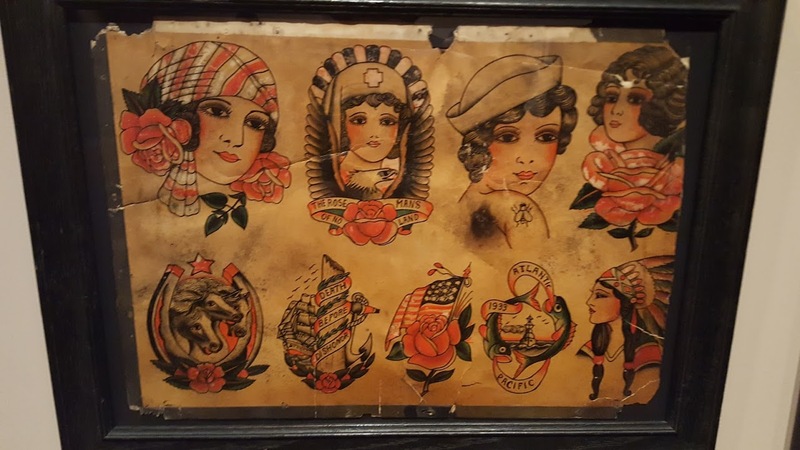 But once you get to the roots of tattooing in New York City, the collection of memorabilia and old flash is truly remarkable. For a different perspective, check out the story at the New York Times here. 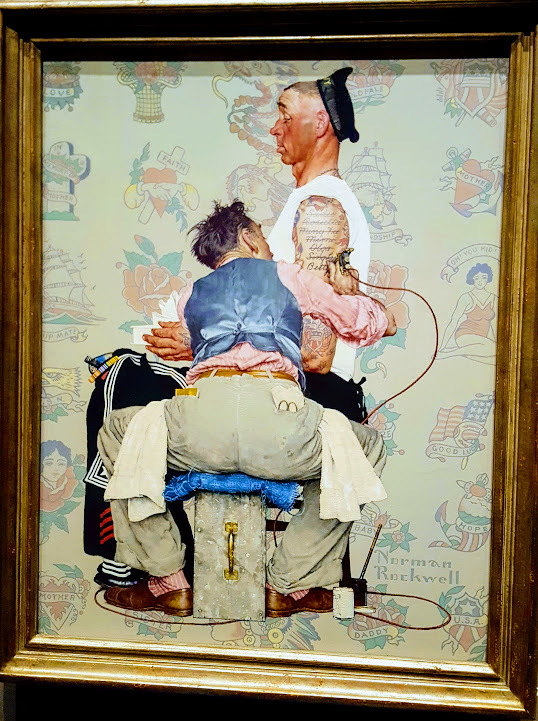 Needless to say, the exhibition, which runs through April 30, 2017, is well worth the visit to the New York Historical Society! The history of tattooing is a long and storied one, but our metropolitan area was (and continues to be) instrumental in the rise and evolution of the art form. She briefly told me, "I have a lot of interest in Buddhism ... this is Ganesh ... and it's supposed to mean good fortune and good health." The artist that did this is Popo (Zhang Po) (@popotattoo), who works out of Tattoo Lou's (@tattoo_lous_ny) in Selden, New York, out on Long Island. He was also at the expo as part of the World Famous Ink Pro Team (@worldfsmousproteam). Thanks to Jackie for sharing her beautiful Ganesh tattoo with us here on Tattoosday!